Oops. In the legal field, we call it a conflict. Larry Flaxman will not be on this week. Stay tuned for new date. 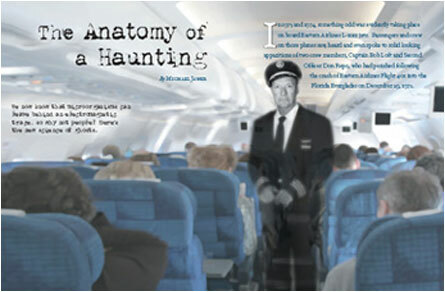 This week the API Gals are talking all things airline related: Ghosts of Flight 401, Haunted Hotels that the crew stays in, etc. Plus the latest paranormal news. Tune in to Archer Paranormal Radio every Thursday evening at 7 pm EST on www.liveparanormal.com. Subscribe to our YouTube.com channel: Archer Paranormal. Follow us on Twitter: @JMSpear, @HauntedLib, and @MagnoliaPsychic. Check out The Haunted Librarian, www.thehauntedlibrarian.com. Last weekend my fellow ghost hunting gals spent the night investigating the Historic Windsor Hotel in Americas, Georgia. I couldn’t attend. Seems I may have missed a great investigation. But I’m the history buff, so I still did my research. Apparently, other groups may not have. I’m amazed at how quickly groups perpetuate urban legends without doing a little legwork. Just like hearsay is not admissible in court, urban legends shrouded as the “truth” should not make it to print. But let me back up. Americus, Georgia wanted to build a winter destination for snowbirds. Two architects were in the running to design the massive hotel. Ultimately, G.L. (Gottfried Leonard) Norrman (1848-1909) won out. He envisioned a High Victorian themed hotel. 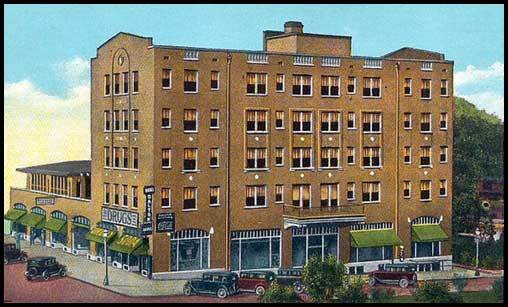 The Historic Windsor Hotel opened on June 16, 1892. It cost $150,000 to build. 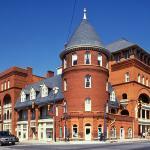 The 5-story Queen Anne castle-like structure takes up a city block. Originally it had 100 rooms. A 3-story atrium is the focal point upon entry. 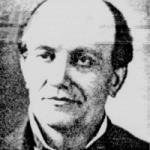 The hotel was named after local businessman John T. Windsor (1847-1930). [Note: Mr. Wilson died on April 20, 1930. This is creepy since April 20th is my birthdate—just not the same year.] 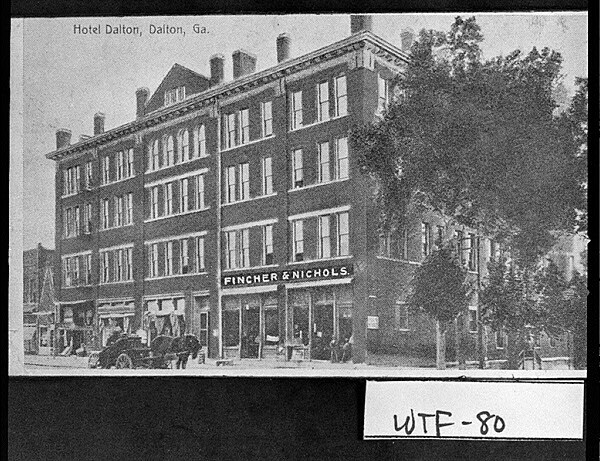 The hotel was a mecca for politicians, athletes, and movie stars. However, the appeal wore off by the early 1970s. The Howard Dayton family was the last private owners. They gave—yes, gave—the hotel to the city in 1978. And the pigeons moved in. The city asked the community what should be done with the hotel: parking deck or remodeled hotel. Surprisingly, the community favored restoration. Good for them! Restoration costs are reported to be between $5 million and $8 million dollars. The hotel re-opened in September of 1991. The Best Western now operates the scaled down 53-room hotel. The 3-story atrium survived the renovations. The fourth floor was not restored and is used primarily for storage. The dining room and board room are also supposedly haunted. There is a gorgeous mirror inside that is also supposed to do something, too. Not sure the link. The former bellman Floyd Lowery (finally a name!) worked at the hotel for 40 years. He is the namesake for the bar. His ghost is supposedly haunting the establishment. Further, all indications are that he is friendly and helpful, even in the afterlife. The story that troubles me is the one about a mother and daughter who were murdered sometime in the 1920s. The story goes: Mother was having a tryst. The man was her husband, lover, or her “john.” Rumors are she was the head housekeeper, domestic help, and or prostitute. For some reason she lived at the hotel. The man became upset, reasons vary, and pushed the mother and daughter down the open elevator shaft, killing them upon contact. An online story identifies them as “Emma” and “Abigail.” Jenn and Lisa were given the names “Emily Mae” and “Emma.” I cannot find any of these names in any newspaper. I searched the Americus Times-Recorder, the county organ. Nothing. I would expect a story like this would have been covered by the Atlanta Constitution or the Atlanta Journal (they were 2 separate and distinct newspapers back then). Nope. I’ve searched death certificates. Online obituary listings for Sumter County. Even Find-a-Grave. Still nothing. Deep sigh. I did, however, find that John T. Windsor’s wife’s name was Emily Amelia. There’s a link. Maybe the names were confused. Still looking. I also found that Mr. G.L. Norrman committed suicide in 1909 at the age of 61. He designed some amazing buildings in Atlanta and Savannah and was one of the organizers for the Southern Chapter of the American Institute of Architects the same year the Windsor opened. Those, my friends, are facts. The other stuff? Not so sure. But I would expect someone would dust off some microfilm and find out. If you do, please feel free to contact me with it. I promise to share! 1. Owners of Waverly Hills Sanatorium want to convert it to a 4-star hotel. Would you book a room? 2. In the News: Lost to History. University discovers 2,000+ unmarked graves in construction expansion. 3. Parting thoughts from GhoStock 2014. 4. Why attending paranormal conferences enhances your education. Tune in to Archer Paranormal Radio every Thursday evening at 7 pm EST on www.liveparanormal.com. 1. 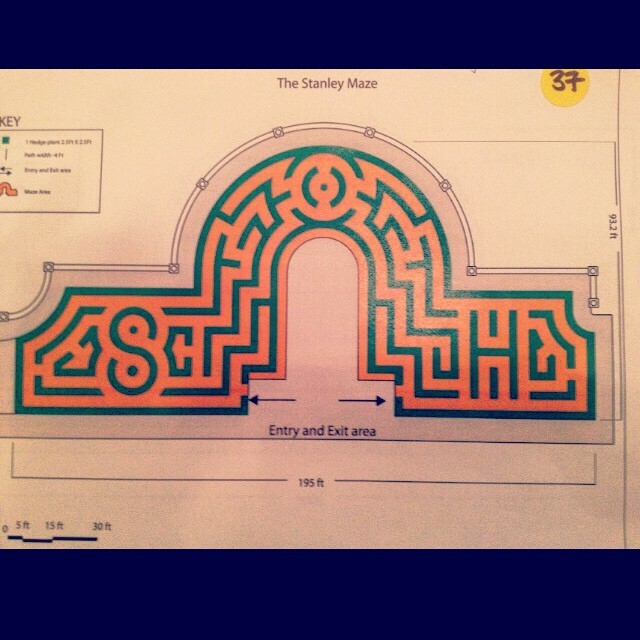 Zak Bagans (Ghost Adventurers) purchases “demon” house. Are the “Portal to Hell” House claims falling apart? 2. Owners of Waverly Hills Sanatorium want to convert it to a 4-star hotel. Would you book a room? 3. Final thoughts from Jenn before her session “Demonic Possession as Defense to Murder” at GhoStock 2014. 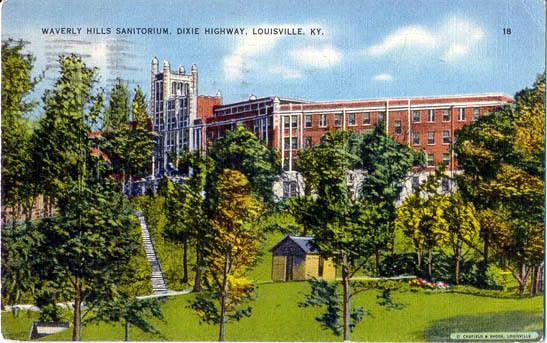 Charlie and Tina Mattingly, current owners of the infamous Waverly Hills Sanatorium, located at 4400 Paralee Lane, Louisville, Kentucky, announced plans to open a 4-star, 120-room hotel catering to the paranormal connoisseur. But would I book a room? 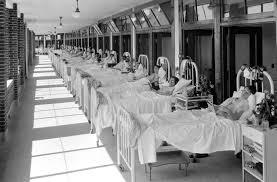 Tuberculosis (TB) was known as “The White Plague.” It ran rampant in the early 1900s and prompted the opening of a sanatorium. In its heyday, the 2-story Waverley Hills accommodated 130 patients, adults and children. TB persisted. In 1924, construction commenced to build a 5-story, 400 bed facility. 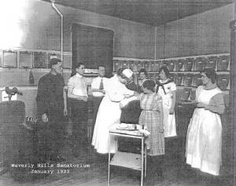 The renovated facility opened on October 17, 1926. However, the popularity of the prescription medication streptomycin decreased the need for extended hospital stays. This led to a drastic decline in patients. The sanatorium closed in 1961. The sanatorium reopened as the Woodhaven Geriatric Center. Excessive reports of patient abuse led the state to close the facility in 19801982 (Websites vary). A tunnel runs underneath the building and allowed for the convenient concealment of dead bodies from patients. Subsequent owners sought to reopen the building as a maximum security prison and a religious facility, which would have included a colossal statue of Jesus Christ. Both plans failed. Today, the Mattingly’s run ghost tours at Waverly. Recently a proposed zoning change request passed. The submitted plans show a restaurant, conference venue, 120-rooms, museum, and liquor bottling business. Ghost tours would continue. Waverly Hills attracts over 10,000 visitors annually. But it begs the question: Would I book a room? Honestly, I don’t know. Part of me wants to think that I would, but the other half knows that I never travel alone. So, my family would have to go along. Doubtful. That’s a lot of convincing on my part. Would it be worth it? Again, doubtful. Room 502: Ghost Hunters conducted an investigation claiming that an unmarried but pregnant nurse hanged herself in Room 502. This story is unconfirmed and highly suspect; I cannot find anything that substantiates it. Still, no thanks. Suicidal Nurse: Another urban legend is another nurse attempted suicide by slitting her wrists and running through the hospital trailing blood. Another generic story, but I still don’t want to see that at a conference. High Death Rate: Rumors of exceptionally high death rates to the tune of 62,000 people have circulated over the years. Historical research brings that figure way down to roughly 8,000. Still too many deaths for me. Existence of the “Body Chute”: While I understand the need and agree to the convenience, I am not compelled to body slide down the chute. Nor do I want to tour a tunnel of death. Don’t get me wrong. I love to tour abandoned buildings. I think that is part of the allure to Waverly Hills—the graffiti and shear emptiness. By covering the walls and remodeling the building, the Mattingly’s are covering the true essence of Waverly Hills. A museum cannot capture that type of visual emotion. I think the restoration and 4-star hotel concept misses the point. Ghost hunters like old, abandoned buildings. It’s all part of the hunt.